We Buy and Sell - Phoenix Pawn & Gold - Your Savings Will Surprise You! We are one of the best pawn shops Phoenix has to offer! Phoenix Pawn and Gold offers the BEST Pawn Loans on almost anything! There is no credit check and no approval process at our pawn shop. We base the loan amount on what the resale value of your item is when you bring it in to our pawn shop. We buy and sell any gold, silver, platinum, jewelry, diamonds, electronics, speakers, iPods, computers, guitars, fine watches, Rolex, Cartier, Breitling, Patek Philippe, Tiffany, Panerai, and much more at our pawn shop. Phoenix Pawn and Gold can provide you with a short term loan on just about any item of value that you have. You can walk out with cash for a loan on your Gold, silver, jewelry, guitars, amps and other musical instruments; Rolex and other gold watches (running or not), coins, cameras, tools or even electronics. Yes, We Buy and Sell Tech as Well! This includes tech such as TVs (LCD or plasma), digital cameras, camcorders, laptops, desktops, tablets, iPods, gently used games, DVDs and much more. 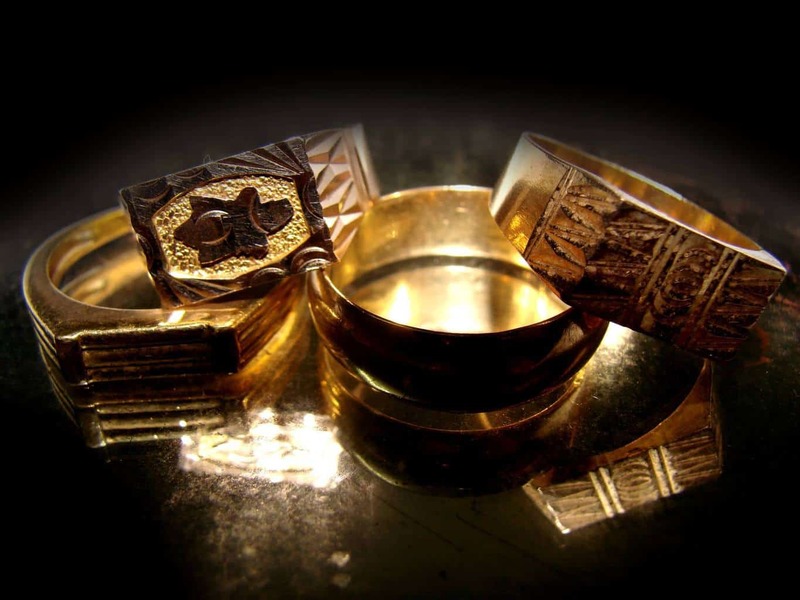 Phoenix Pawn and Gold has been a collateral leander with over 30 years experience buying, selling and providing fast, cash loans for valuable items. There are very few things that we cannot give you an instant cash loan on. We Buy and Sell and So Much More! At Phoenix Pawn we can also give you cash with a loan on your car, truck, van, SUV, RV, motorcycle, antique, classic, custom or collectible auto. There is no item too item to large or too small that Phoenix Pawn cannot give you a loan on. Get the money you need today with a loan from Phoenix Pawn. Or simply visit our store and see what we buy and sell today! How Does This Process Work? What are the Details? At Phoenix Pawn and Gold we will always give you the most cash for your valuable items. Bring your items in for an appraisal and walk out with quick cash, no credit check is necessary. * Loan you cash for your item. Using your item as the collateral for you loan you get the cash you need. Your property will be held safely and securely until the loan has been paid and the item returned to your possession. Phoenix Pawn and Gold is the premier gold, diamond and silver buyer. With over 30 years experience in buying, selling and lending on gold, diamonds, watches, coin, silver, electronics, power tools, guitars, amps, musical instruments, cars and more, you can feel confident that we will lend you the most money for your valuables. If your need for money is only temporary then a short term pawn loan may be the solution for you. * By law pawn loans are written for 3 months (90 days). If at any time during those 90 days you are able to pay off your loan you can. All you need to do is to come in and pay off the loan amount plus the agreed upon interest and your items are returned to you just as you left them. loan duration you are able to repay the amount borrowed EARLY, it is possible. Just come in, pay off the loan plus the interest and walk off with your item. * If at the end of the 90 days you are unable to repay the loan amount in full, don't worry. You can pay only the interest and Phoenix Pawn and Gold will rewrite your loan for another 90 days. The fact is, you can repeat this process as long as you feel the need to do so and you valuables remain safe and secure with us. We can even assist you in working out a payment plan in accordance with state lending guidlines to suit your needs whatever they may be. * If after your 90 day loan you are unable to pay ioff either the loan or the interest to extend your term, then your item will default and you will lose ownership. You will, however not be obliged to pay any additional monies, fees or penalties and your credit will not be affected. If a short term loan is what you need to get over what ever financial situation you might have, then a pawn loan from Phoenix Pawn and Gold just might be your answer. Serving Phoenix, Scottsdale, Tempe, Mesa and the Greater Phoenix Area With Pawn And Loans Now!